The annual Highlands NC Christmas Parade takes place this Saturday, December 2. This fun event is one which is treasured by the community. Homemade floats, a marching band or two, and Santa have all ages searching for a prime viewing spot. One Christmas Parade experience keeps most returning to Downtown Highlands NC year after year. The parade will start promptly at 11 am, which means those wanting to get a prime viewing spot set up camp well ahead of time. This is a local parade that does not disappoint. Here you will find local civic groups, non-profits, churches, businesses, fire departments, and many more integral members of the Highlands NC community. Participants in the parade will be tossing candy tot he crowd. 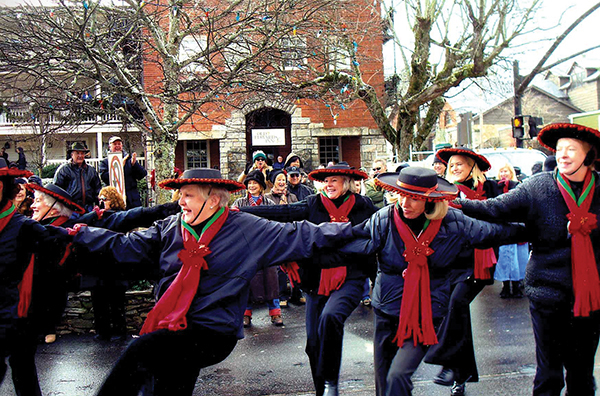 The annual Christmas parade demonstrates the sense of community and camaraderie that pervades our mountain town. The smiles on the faces of the onlookers and the participants alike are contagious. Expect to see a marching band, horses, motorcycles, all-terrain vehicles, fire trucks, classic cars, and more. One of the highlights of the parade are the dancing ladies of the Highlands Garden Club. However, Santa and Mrs. Claus are without a doubt the royalty of the parade. The Highlands NC Christmas Parade is an annual event that is not to be missed. Unique events and opportunities to mingle with friends and neighbors are a part of the Highlands lifestyle. Visitors and residents alike join together for numerous events throughout the year. If you will be in town this weekend you will not be disappointed by joining in the fun! Contact our team at Berkshire Hathaway HomeServices Meadows Mountain Realty today to learn more about Highlands NC real estate. We welcome the opportunity to update you on current market conditions while helping you get to know our unique mountain town. Let our knowledge and experience serve as your guide. We hope to see your at the Highlands NC Christmas Parade on Saturday!